I love your Wise Woman Herbal for the Childbearing Year. 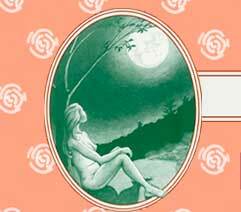 Your Wise Woman Herbal for the Childbearing Year is my almanac, and you are a beautiful inspirational woman! Thank you for considering my letter.. Your book Wise Woman Herbal for the Childbearing Year was my bible during both of my pregnancies. My daughters are both very healthy and now 12 and 19 yrs old. Thanks for your wisdom. I had read your book Wise Woman Herbal for The Childbearing Year in 1995 and 1998 and it was so useful. I was able to use the blue and black cohosh during delivery. My doula had never heard of this, so I helped educate her, through your wisdom! Within minutes of taking the drops, my body expelled the placenta. Incredible. I am a true believer in your herbal remedies. Many goddess blessings to you! Hello Ms. Weed or hello to who is reading this email. I am a child of a wise woman. I am 25 years of age. … I have a copy of Wise Woman Herbal for the Childbearing Year. The only thing is the book is a first edition. It helped my mom through all four of her children. She gave it to me a couple of years ago. The information in the book is excellent. …I also wanted to let you know that your book, Wise Woman Herbal for the Childbearing Year, has changed my life. I was pregnant earlier this year and it ended in miscarriage. Your book really gave me peace of mind through that tough time. … In closing, thank you for doing what you do. Hi my name is Rebecca, and I am a Herbalist. I have been working as a herbalist for 17 yrs, and currently I work for Australian Bush Flower Essences for 1/2 the week, and the other days, in a (regular) pharmacy giving natural health advice, which is kind of like going into another culture, but I guess there’s no use “preaching to the choir”, at least I’m talking with lots of people who would otherwise not have herbal advice. I am a doula and I love your book, Wise Woman Herbal for the Childbearing Year. My copy is quite worn! I am a self-taught lay herbalist and I've found your work very helpful. I especially like your Wise Woman Herbal for the Childbearing Year. I just want to express my extreme gratitude and admiration for the fact that you have the courage and strength in the goddess to print the emmenagogue formula as you did in your Wise Woman Herbal for the Childbearing Year. I have been told over and over again by "traditional herbalists" in the herbalist community here where I live that this knowledge is too dangerous and too unknown to be utilized by today's herbal community. I was aggressively reprimanded by an herbalist (with much more experience than me for sure) for even asking about it. I feel that this attitude is anti-feminist and that this knowledge is neither lost nor undeserved to today's women. When I brought up the formula you printed, which I have used successfully, I was told that tansy and pennyroyal were both too potent to be used internally. We only met once briefly, but your books, especially the Wise Woman Herbal for the Childbearing Year, helped us raise our daughters, and having no family to ask, you feel like a friend to me, thanks. I often think of you and what an inspiration you have been to me since the very first time I bought The Wise Woman Herbal for the Childbearing Year. I signed up for your e-newsletter and enjoy keeping in touch with you through that and reading about the wonderful courses that you are doing. I did notice that you were in Toronto recently but I had something scheduled that weekend that I could not get out of. I was just reading about your new 7 Rivers course and am very interested and would like to take it…my only concern is what the time commitment is since I am limited for time! truly hope that you are well and I look forward to seeing you soon hopefully! I am a long time admirer of your work and presence in the herbal healing community. Although I do not own your book Wise Woman Herbal for the Childbearing Year, I plan on getting it as soon as possible. I also hope to take one of your courses within the next year.